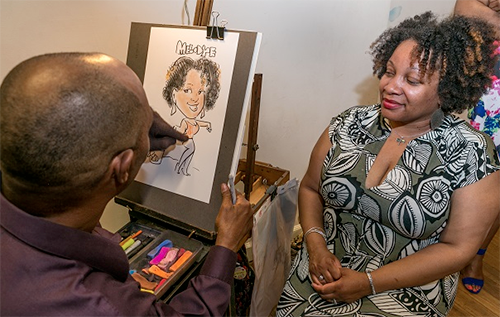 Bill W. drew caricatures at a baby shower recently for Kristy Samone, one of our favorite fashionistas! Here are some photos from the event. If you get a chance, check out Kristy’s site. Bill W. capturing a baby shower attendee. 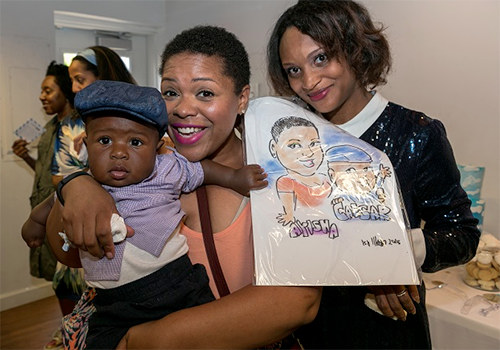 A mom and baby caricature and Kristy!